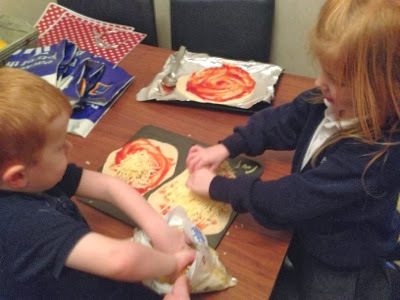 We love making our own pizza's. The kids especially enjoy getting involved. Until now we have always used ready made bases, however this week we decided to make our own. It was a lot easier than I imagined. 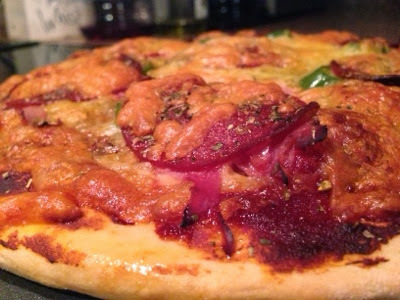 Making pizza dough is very simple. In a bowl, stir all of the dry ingredients together, make a well and pour in the warm water and olive oil. Combine everything with a fork. Once you have a dough you need to knead it for approximately 10 minutes. 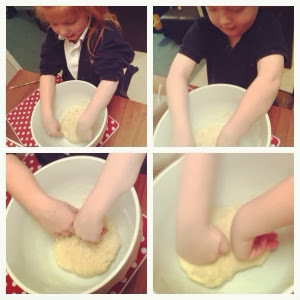 This is when the kids can get really involved, we took it in turns to knead for 2 minutes each. I have to say, I was impressed with their skills! The kids loved it and soon decided they were going to open a pizza shop when they are older. 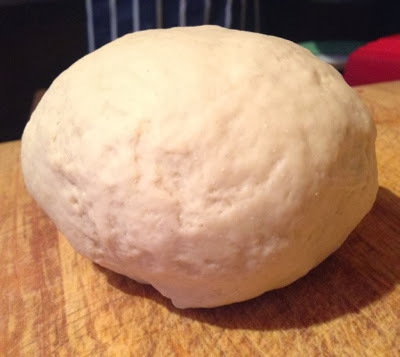 Next, you need to split your dough into two balls and roll them out into 2 pizza shapes (make sure you use flour so the dough doesn't stick). Once you are happy with the shape, leave to rest in a warm place for 20 minutes. We left ours on the kitchen bench and covered with a tea towel to protect. It is best to transfer the dough to your baking sheet or tray at this stage, as it is very hard to handle once you have added toppings. 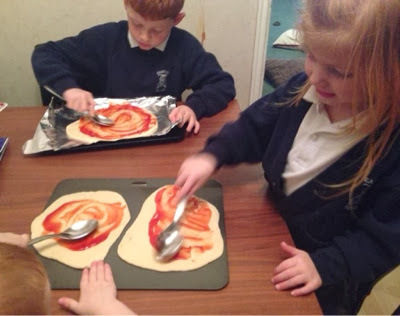 Our children like using tomato ketchup on their pizza's and have lots if fun squirting and spreading! The grown ups used tomato purée. 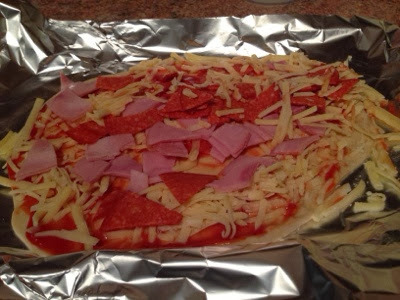 Next we added grated cheese and various toppings (ham, pepperoni, sweetcorn, peppers and herbs). Then you just need to pop in the oven at about 200 C for 18-20 minutes. The final result is delicious and much nicer than anything you could buy at the shop plus lots more fun than a takeaway!